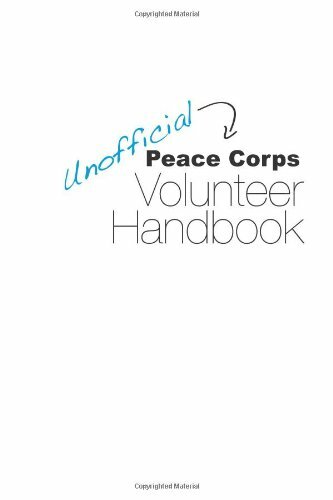 A podcast about returned Peace Corps volunteers and life after Peace Corps. Twice a month, RPCV, Astrid Vinje, interviews fellow Peace Corps volunteers about their experience during and after their service. As the first season of our podcast winds down, I thought it would be an excellent opportunity to sit down with our creative producer, Clint Bush, and take a look back at some highlights from the season. It was fun to listen to clips of some of our favorite episodes. There were humorous moments and serious moments, light-hearted moments and profound moments. I think with 17 episodes under our belt, we have a pretty good idea of what worked and what didn't work. It was also great to give our listeners a chance to get to know Clint, who has put so much time and effort behind the scenes to make this podcast sound good. This has been a wonderful learning experience for the both of us, and we look forward to what the next season of Corps Conversations will bring us. Riding the bus in Paraguay with our daughter, Mira (April 2013). At first glance, Byron and Denise seem to have it easy. They are able to serve in the Peace Corps with their significant other. They have internet in their home which allows them to Skype with their friends and family. And they live in a relatively large city, which affords them many luxuries and amenities. However, after talking with them, it was apparent that they still faced many of the same challenges as other volunteers: being far from home and loved ones, feeling isolated, and having to cope with the difficulties of living and working in another culture. I am always struck by the universalities of the Peace Corps experience, and how despite the differences in time and place, Peace Corps continues to be a life changing experience for those who serve. Thanksgiving dinner with host mother, Halyna (in red), and her friends. At Byron's university's English immersion summer camp. With PCV Whitney Milton at the English immersion summer camp. Byron with his Teachers Class. Byron and Denise Williams are a husband and wife team who served as TEFL volunteers in Ukraine. Byron served as a university instructor and Denise served as primary and secondary English school teacher. They are from Las Vegas, Nevada. Following Peace Corps, both hope to explore careers in the international field, along with starting a family and preparing for the zombie apocalypse, but not at the same time. At Denise's end of school year concert at the Ukrainian school where she was a teacher. I was quite impressed with all the things Travis has done in the Peace Corps and in the years after. But what struck me most was his desire to do something meaningful with his Peace Corps experience. I think every returned volunteer has that desire in some form or another, and it manifests itself in various forms, whether it be pursuing an international career, marrying someone from your country of service, continuing to live overseas, starting an organization, or even starting a podcast. Every volunteer I've talked to so far has managed to make those crazy 27 months into something that stays with them for a lifetime. Travis enjoying the view in Mongolia. Working on a health training in Mongolia. Travis at his third year ceremony. Travis Hellstrom is 50% Writer, 50% CEO and 100% committed to helping everyday humanitarians change the world. He founded Advance Humanity after serving for three years with the Peace Corps in Mongolia and is currently a Peace Corps Fellow completing his masters degree at SIT Graduate Institute. You can read more about him at travishellstrom.com. Travis and his Mongolian family before his wedding day (photo credit: Kate Brokowski). I had a great time talking with Sara in early October. We really hit it off, and I enjoyed listening to her stories about Madagascar. I could tell that she truly loved the time that she spent there, and that the country had become a part of her. It was inspiring to hear about the ways that she's managed to stay connected to Madagascar. Often times, we RPCVs tend to let that connection fade, and as the years pass, it becomes just a memory to file away in our catalog of experiences. I'm glad that there are people like Sara out there, who continue to nurture and expand their connections to their country of service. Sara with some of her students. Sara with her friend, Marthe, planting trees on International Women's Day. On the day Sara witnessed her first cow-killing ceremony. Sara LeHoullier grew up in North Carolina, and after high school, she made the bizarre but excellent decision to go to Minnesota for college. Armed with a BA in English from Carleton, she returned to North Carolina in 2003, and made it only two years in the corporate world before joining the Peace Corps in 2005. 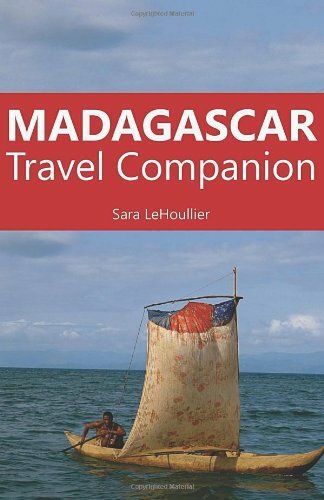 From 2005 until 2007, Sara taught English in Madagascar. 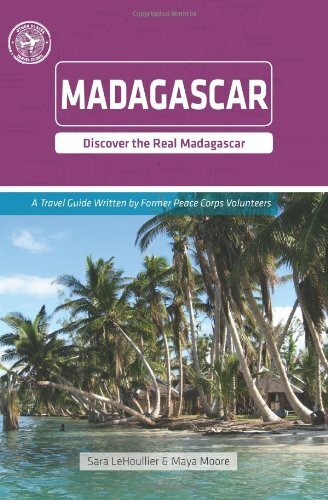 In 2008, she went back to perform a needs assessment for her proposed NGO, Spotlight Madagascar. Alas, the political crisis put a halt to her dreams of starting her own organization, and she returned to school to get her MA in Sustainable Development from SIT Graduate Institute. Thesis research afforded her yet another opportunity to visit Madagascar, and in 2009 she went back for three months, during which she searched far and wide for innovation in development, and wrote her first travel companion. In 2010, Sara decided to return once again as a Peace Corps Response Volunteer and lived in Ambositra, Madagascar for 6 months, working on ICT education and Micro-enterprise development with Human Network International. A short break and she was back on the plane again to research her next book in the spectacular deep south; this next travel guide, that will be published in 2012 just in time for high tourist season! Sara spent two years with RTI International, first as a Project Administration Specialist, then as a Program Development Coordinator for the Education Policy and Systems group. She has written articles about Madagascar in Worldview Magazine and Remedy Quarterly, and continues to be involved in several initiatives on the big red island, including a silk-weaving cooperative called Federation SAHALANDY and a burgeoning new NGO, Nofy i Androy, that establishes educational opportunities for girls and women in the south of Madagascar. She is currently a Business Optimization Consultant for a small firm in Seattle, Washington, working on some very exciting initiatives that are aimed increasing human happiness and promoting environmental sustainability across the globe. Sara at Olympic National Park in Washington state. Justin was really easy to talk to, and I enjoyed listening to his stories of his time in the Peace Corps. Listening to him, it made me realize how the Peace Corps experience often pushes people to step out of their comfort zones. Though we may be skeptical or hesitant at first, the results of that step are often quite spectacular. Another thing that struck me about our conversation was how Peace Corps can serve as a catalyst to propel your life into a direction that you may not have considered before. In Justin's case, he came into the Peace Corps with a background in Computer Science, but is now pursuing his MBA. Justin with his neighbor's daughter next to a completed energy efficient stove. Performing surgery alongside one of the doctors at a medical mission (left). Reading a book on the summit of Mt. Chirripo in Costa Rica. Justin graduated with a degree in Computer Science from California State University Sacramento. He served in the Peace Corps Dominican Republic as an IT Education volunteer from 2008-2010. Justin extended his Peace Corps service in Costa Rica as a Community Economic Development volunteer. After his Peace Corps Service, Justin was accepted to the Japan Exchange & Teaching (JET) Program. He lived just outside of Tokyo where he taught English at two public senior high schools from 2011 - 2013. Justin met his wife Cecilia in the Dominican Republic where they both served as Education volunteers. Cecilia gave birth to their first child (Samantha Ai) in Japan. Justin is currently a 1st year MBA candidate at Thunderbird School of Global Management and he is pursuing a career in Organizational Development and Change Management. With his wife, Cecilia, and their daughter, Samantha Ai, in Japan. Brian was a fascinating man to talk to. From listening to his story, I could tell that he definitely faced some tough challenges during his first Peace Corps service in Morocco, and even during his second Peace Corps service in Jordan. What impressed me most about Brian, though, was his insistence on standing up for what he believed was right. Some people shy away from making waves, for fear of what it might cost them. For Brian, even though it ultimately led to ending his second tour of Peace Corps early, doing the right thing was more important. Dr. Brian Kuhn is currently a researcher in zoology and palaeoanthropology at the University of the Witwatersrand in Johannesburg, South Africa. His current work studies modern carnivore ecology, taphonomy and the fossil carnivores associated with Australopithecus sediba. Brian served in the Peace Corps in Morocco from 1994-1996 as a health and sanitation volunteer. He was assigned to Jemaa Sidi Laaroussi, but lived in the nearby village of Talmest, in the Essaouira Province. 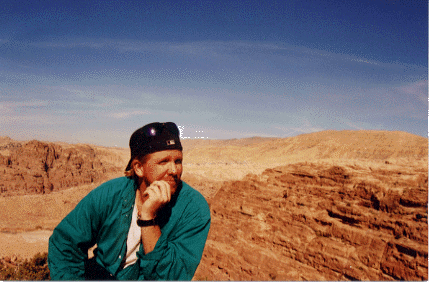 In 1996, after discussion of extending and switching sectors to Parks, Wildlife and Environmental Education (PWEE), it was decided the best option was to COS from Morocco and join the first group of volunteers going to Jordan as a PWEE in 1997. In Jordan he was assigned to the Shaumari Nature reserve near Azraq out in the eastern desert. Brian earned his undergraduate degrees in Zoology and Anthropology from Washington State University in Pullman, WA. After the Peace Corps, he completed his Masters (MSc) degree in Palaeoecology/Zooarchaeology at the Institute of Archaeology at the University College London, and then completed his doctorate degree in 2003 at the University of Pretoria in South Africa. Brian currently lives in Johannesburg, South Africa. Evelyn and I spoke in late June about her experiences as a volunteer in the Philippines. Having traveled to the Philippines myself, I was keen to exchange stories with her about life over there. What struck me most about Evelyn was just how positive she was when talking about her Peace Corps experience. I'm sure that there were some challenging points for her, but I think on the whole, serving in the Peace Corps was something that influenced her life for the good. Evelyn grew up in San Jose, California and got her BA in Communications and Spanish from UCLA. After graduating, she started her Peace Corps service in the Philippines in 2010. She taught English to rural high school students, and on the side she conducted leadership trainings, facilitated professional develop training for teachers and supervisors, coached boys and girls soccer, and directed a choir at a local Filipino church. She completed her service in 2012, and she is currently enrolled in the MBA program at The Fuqua School of Business at Duke University. She will obtain concentrations in strategy and finance, and she hopes to go into management consulting after graduating. Long-term, Evelyn wants to break into the field of microfinance and social enterprise. I really enjoyed talking with Nicole about her life as a volunteer in Togo. Since we both served in the same village, it was good to share and compare some of our experiences with each other. And at the same time, it was great to hear about some of the projects she did with the community, many of which I never would have thought to do. It's clear that we both had very positive experiences in Kemeni, where we served, and I'm glad that we finally had this opportunity to connect. We also spent some time talking about what it was like coming back to the states after the Peace Corps, and how she dealt with issues of feeling lost or not knowing her place anymore. That's definitely a common theme in the post-Peace Corps experience, and it's interesting to hear how different people handle that adjustment period. Nicole is currently a graduate student at the University of Hawaii Manoa studying Natural Resource and Environmental Management. She works with the Hawaii Forest Institute as a Project Coordinator for the Children's Discovery Forest at the Honolulu Zoo. 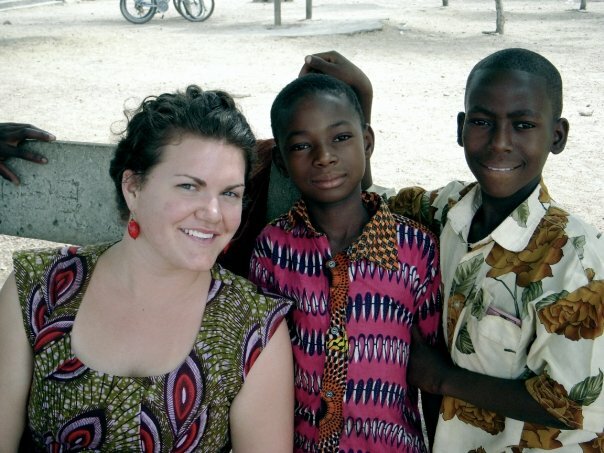 She served in the Peace Corps from 2008-2010 in Kemeni, Togo as a Natural Resource Management volunteer. She lives in Honolulu, Hawaii. Tim and I spoke in early June about his Peace Corps experience in Jamaica in the early 1990's. It was interesting to hear about his work with the Boys and Girls club in Montego Bay, and also his insights about life in that country, which was far different than what a typical tourist would see. I also enjoyed hearing about his work after the Peace Corps, particularly with the United Way of Central Massachusetts. What struck me about our conversation was that even after ending his service in Jamaica, Tim continued to work in community development, albeit on a domestic level. As an RPCV, it's helpful to hear these kinds of stories because it serves to remind us that we don't have to travel or work outside of the country to have meaningful impact on people's lives. There are plenty of communities here in the US in need of support and development. Tim Garvin is the CEO of the United Way of Central Massachusetts. Through his leadership, the organization has provided programs in Education, Health, and Family Stability to communities in need in the Central Massachusetts area. Tim also serves as chair of the Council of Massachusetts United Ways, as well as co-chair for the American Diabetes Association Advocacy Group. Tim has over 19 years of experience in leadership roles for non-profit organizations, including serving as Vice President/Executive Director of the Central Branch of the YMCA of Greater Boston, and Executive Director of the Allston Brighton Family YMCA/Oak Square YMCA. He served in the Peace Corps with his wife, Theresa, in Jamaica from 1991-1992. I spoke with Susan and Kelly in Susan's home in Seattle, WA back in June. It was a gorgeous late spring morning, and we had a lovely view of Lake Washington. Having served as health volunteers in Cameroon from 1991-1993, Susan and Kelly both had interesting stories of their time in the Peace Corps and afterwards. Susan was a part of the beginning incarnations of the Peace Corps Masters International program, and had a very structured Peace Corps experience, working on a campaign to eradicate Guinea Worm. Kelly's experience, on the other hand, was a little less structured, working with rural community centers to do vaccination campaigns and train village health committees. I enjoyed talking with the both of them and listening to what volunteer life was like twenty years ago, before email, cellphones, Facebook, and blogs. Susan Graham is a member of the Kenya Research Group at the University of Washington in Seattle, WA. Her work involves research on HIV prevention and care in Kenya. She also directs the University of Wahsington Scholl of Medicine's Global Health Pathway, as well as serving as the Track Director for the Univeristy of Washington's concurrent MD-MPH program in Global Health. Susan received her medical degree from McGill University in Montreal, Canada, and her Masters degree in Public Health from Boston University in Boston, MA. In conjunction to completing her Masters degree, she served as a Peace Corps health volunteer in Cameroon through Peace Corps' Masters International Program. Kelly Kajumulo is a Research Coordinator in the Department of Psychology at the University of Washington in Seattle, WA. She earned her BA from the University of Virginia, focusing on Women in Development. After serving as a health volunteer in the Peace Corps in Cameroon from 1991-1993, she continued working on a variety of programs focusing on health and HIV/AIDS prevention and education. She received her Masters in Public Health from the University of Washington, and has been living in Seattle for the past 17 years. Background image by Astrid Vinje. Site created by Made by Clint.